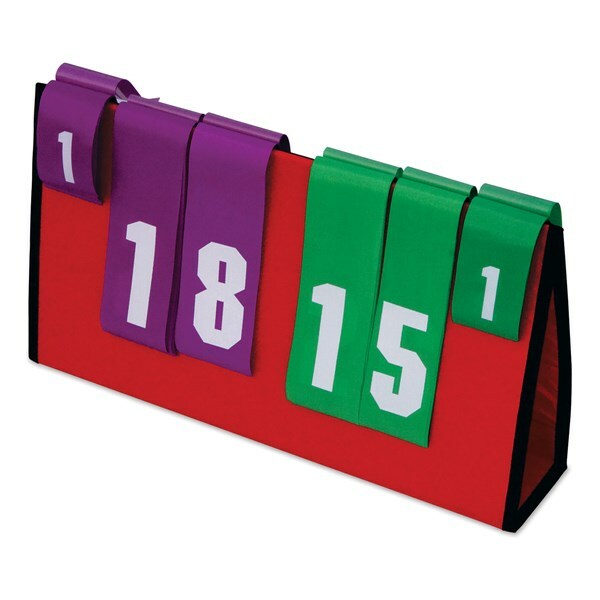 Foldable light weight Soccer score boards, made of board covered with heavy duty polyester fabric & black lining on corners for extra strength. Easy carrying & storage. 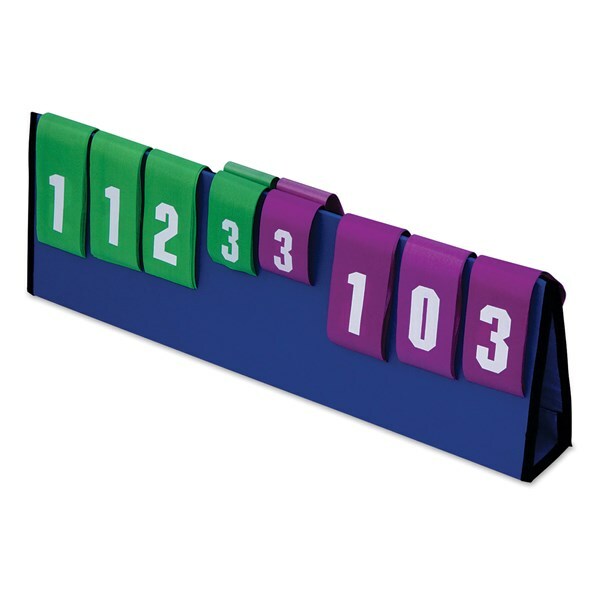 Flip digits made of heavy duty polyester fabric. 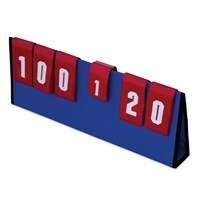 Board Size: 14" x 9"
Note: These score boards can also be customized as per customerâ€™s requirement, please ask for more detail. 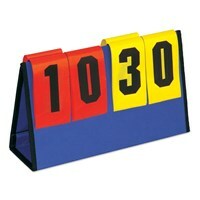 Ideal Scoreboard for Basketball, Volleyball, Tennis, Table Tennis, Wrestling etc. 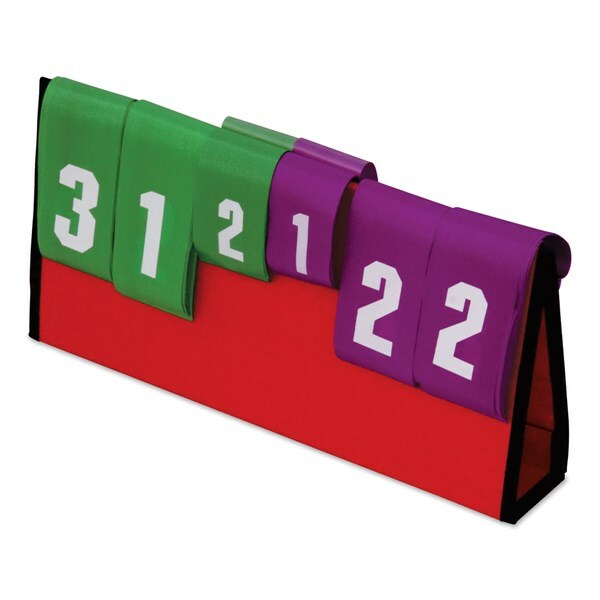 Foldable & light weight score boards, made of board covered with heavy duty polyester fabric & black lining on corners for extra strength. Easy carrying and storage. Flip digits made of heavy duty polyester fabric and digits are printed in white colour for improved visibility. 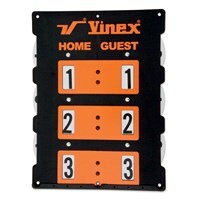 Board Size: 28" x 9"
Note: Customized Scoreboards are also available on request. 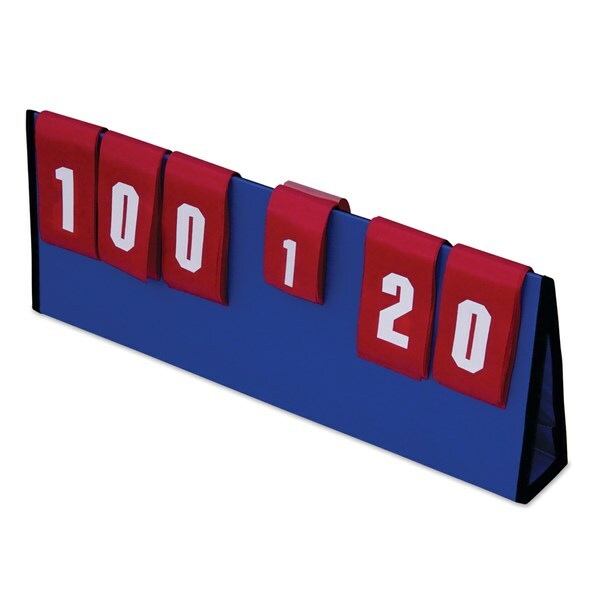 Foldable light weight cricket score boards, made of board covered with heavy duty polyester fabric & black lining on corners for extra strength. Easy carrying and storage. Flip digits made of heavy duty polyester fabric & can display runs, wickets & overs. Digits are printed in white colour for improved visibility. 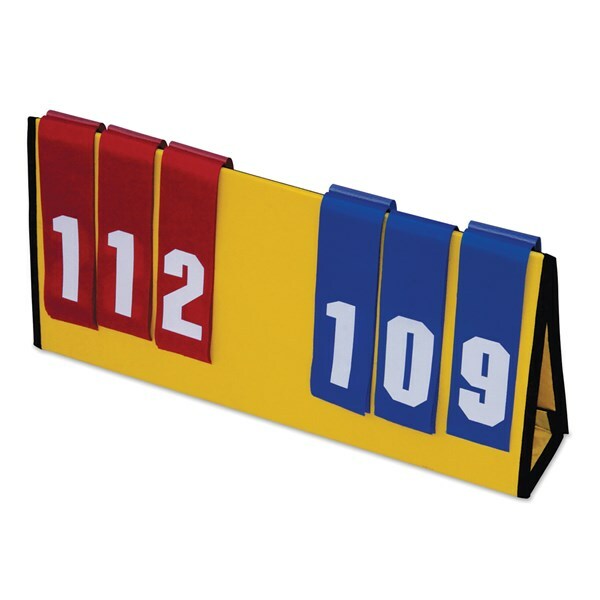 Board Size: 24" x 9"
Foldable light weight score boards ideal for several sports, made of board covered with heavy duty polyester fabric & black lining on corners for extra strength. Easy carrying and storage. Flip digits made of heavy duty polyester fabric. Digits are printed in white colour for improved visibility. Board Size: 23" x 11"
Foldable light weight Table Tennis score boards, made of board covered with heavy duty polyester fabric & black lining on corners for extra strength. Easy carrying and storage. 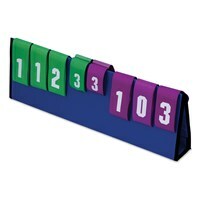 Flip digits made of heavy duty polyester fabric. 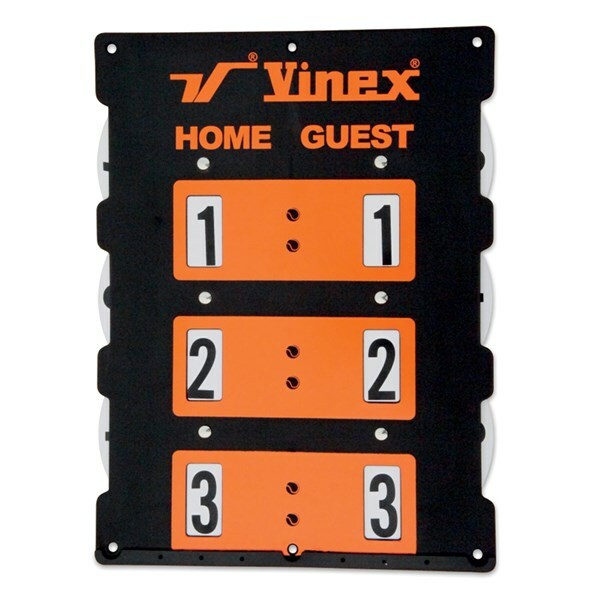 Board Size: 18" x 9"
Foldable light weight Basketball score boards, made of board covered with heavy duty polyester fabric & black lining on corners for extra strength. Easy carrying and storage. Flip digits made of heavy duty polyester fabric. Board Size: 20" x 11"